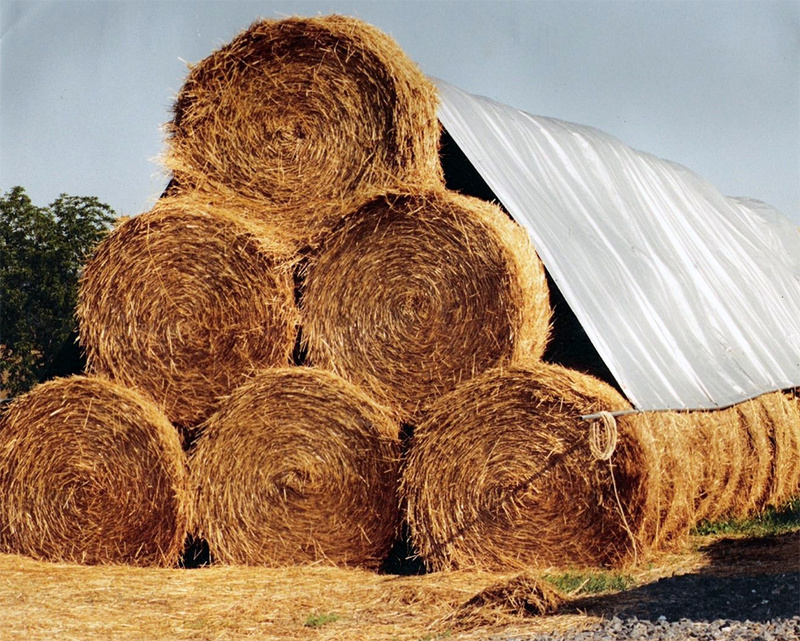 COVERING HAY STACKS IS HERE! Our product is made from a woven polyethylene synthetic that is ten times stronger and twenty times more durable than canvas. The typical problems of rotting, mildew, rips and leaks that come with canvas tarps or cheap imports are history. If the SuperTarp is punctured, the hole will not travel, but keep the integrity of the tarp in place. The hems are stitched with heavy duty, rot resistant thread. The inner joining seams are heat welded to be completely waterproofed. This superior construction increases the strength, durability and longevity of the SuperTarp. 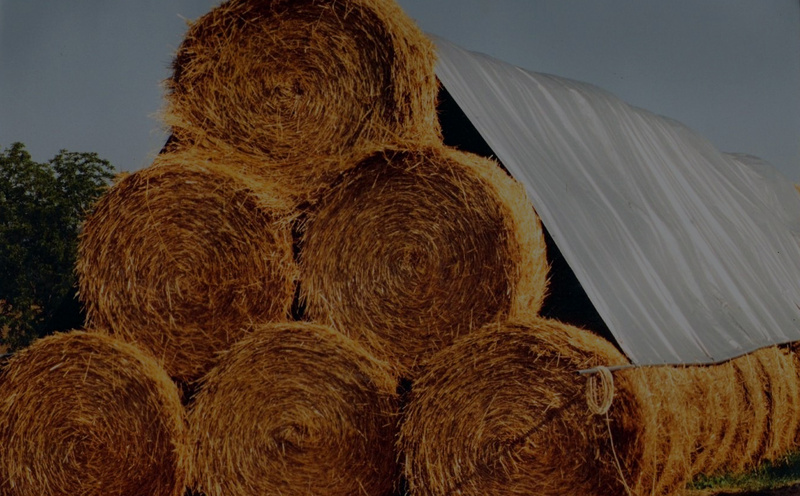 SuperTarps are excellent for equipment, hay, windbreaks, marine, or anywhere a completely waterproof durable tarp is necessary. Heavy duty polyweave 7.5 oz fabric 16 Mils thick. Tensile Strength – Warp 275 lbs, Weft 280 lbs. Tear Strength – Warp 72 lbs, Weft 89 lbs. We are a small family owned business. We live on a farm in the beautiful Lebanon Valley. We bought the Super Tarp business in 2004 and have been happily serving our customers with quality tarps ever since.